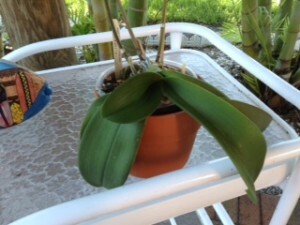 Orchid Growing Sideways: What Should I Do? I have a small problem that needs addressing. 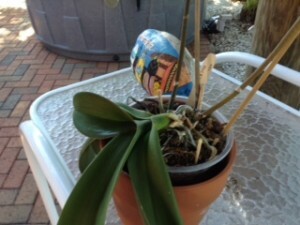 I didn’t really think about it at the time, but it appears my orchid has been growing towards the sun. It now lies flat on the pot. I’ve since changed the direction. I’m hoping it will straighten out on its own.  Is there anything else I should do? I’m afraid to handle it as I fear I might snap it!